We are currently experiencing technical issues with our ticket purchasing option for some of our excursions. But we don’t want you to miss out on any of our excursions! To purchase tickets on A Day on a Train on June 12, click here. To ensure a visit with Santa and winter fun, purchase your tickets for Santa Daze on December 7 click here. We thank you for your patience and understanding while we work to correct these technical issues. The Friends of the Battle River Railway are very pleased to welcome you to our website. Our volunteers have a ton of fun creating, organizing and hosting on our theme-based passenger excursions throughout the year. Tickets for our 2019 excursions are on sale! Go to our “Purchase Tickets” tab at the top of the page. 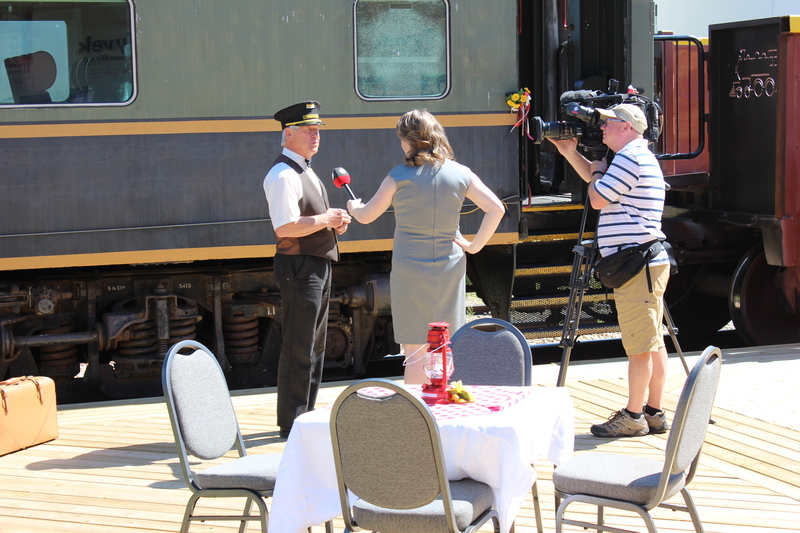 Thank you to CBC TV’s “Our Edmonton” for visiting us and recognizing what a great thing we have going in rural Alberta. Click here to enjoy a look! Where else can you actually rent a train! We are happy to offer gift certificates in $50 and $100 increments. If you are looking for a great gift or a donation to a silent auction, we would love to help you out. Call 780-384-4150 to order your certificates today. Click here for online gift certificates. Looks like you are doing an awesome job ! Thank you Donna, we hope to see you and Dennis aboard soon! We went on the Forestburg Canada 150 Celebration ride and it was phenomenal! It was the first time that we have ever gone on this excursion and we will definitely be back! The service was outstanding, it was informative, well organized and so much fun. We recommend to everyone! Great job and thanks for all of your dedication!! What a fabulous compliment. We were so happy that you chose to spend a day with us! Come see us again and bring your friends. 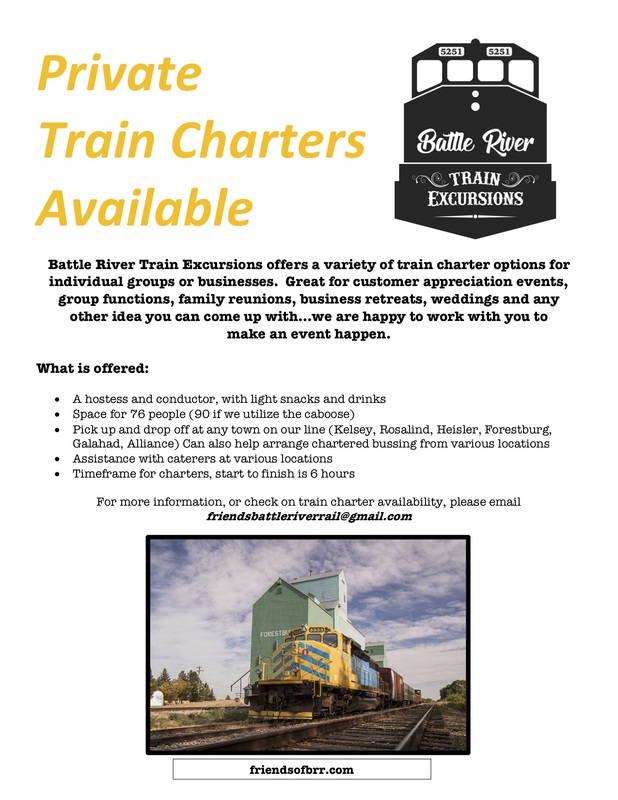 Your pals at Battle River Train Excursions!